Viva Green Homes was featured in Huffington Post for its search engine to compare eco friendly homes. Sustainable building is all the rage these days, and for good reason. Climate change and the undoing of the earth’s delicate ecosystem is no longer a point of conjecture. According to the EPA, “The global average temperature increased by more than 1.4°F over the last century.” And “the decade from 2000 to 2010 was the warmest on record.” Global warming is a real thing. And the sooner we as a society adapt to this reality, the sooner we’ll adjust the way we live to be kinder to planet earth. I’ve written in the past about “Ethical consumerism.” That is the idea that we can buy our way to a better version of ourselves. I would also like to suggest that ethical consumerism extends to the home you live in. In other words: the idea that green homes do less harm to the earth has marketable value. If you reside in a more progressive neighborhood, this value is even more enhanced. Recently, the Institute for Market Transformation released a study showing a positive correlation between home energy efficiency and curb appeal. On average, high-performance homes are valued at a premium of 3.46 percent more than non-high performance homes. Some were even valued as high as 6% to 7.7% more. 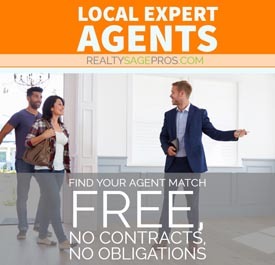 That equated to between $10,343 to $53,000 that buyers were willing to pay for a high-performance home over a standard performance home. What does this mean for you, the enterprising homeowner who wants to reduce their footprint? It means that renovations designed to improve the efficiency of your home can also boost its resale value. Here’re some actions to get started. 1. Get an energy audit: When you are just starting out, getting an energy audit can be a great way to identify your home’s specific energy deficiencies. Plenty of private companies offer this service. The Residential Energy Services Network is a database of qualified local professionals. A comprehensive audit can be conducted within the course of an afternoon. The auditor will do a full overview of your home; checking for leaks, examining insulation, inspecting ductwork and more. After a thorough walkthrough, the auditor can make recommendations based on your home’s specific needs. If you’re up for it, you can go the DIY route. Keep in mind, conducting a proper energy audit is as much science as it is an art. The best auditors have years of construction experience and have reviewed all manner of houses. An energy audit also involves crawling up into your attic and down into your basement or crawlspace. But if you love DIY home projects, then, by all means, give it a go. 2. Spend an afternoon at the hardware store: Before you tackle any of the high budget considerations for upgrading your home (see below), start with the low cost & high yield repairs and upgrades that you can do yourself. Sealing up holes in your insulation and caulking windows is a good starting point. Energy.gov has a comprehensive guide to the process of caulking. This article on energy efficiency basics provides more suggestions on sealing, insulating, and smart home integrations. 3. Install energy efficient windows: When you have windows that are not energy efficient (think “old” or “thin”) your house is losing energy. Through a process called “heat transfer,” hot air is always trying to equalize with cold air. That means that heat is going out in the winter and coming in during the summer, even if you don’t want it to. The most permanent and energy efficient solution to this problem is to install energy efficient windows. The Department of Energy estimates that replacing your windows with ENERGY STAR® rated windows can reduce heat loss by 10%-20%. That means it will take a lot less energy to heat and cool your home. Say hello to lower energy bills. 4. Power your home with renewable energy: Believe it or not, there are some effective alternatives if you want to power your home without polluting the environment. Depending on the state you live in, wind power, geothermal, and solar may be great options. The easiest way to switch is to work with your utility or an independent supplier to simply choose a 100% renewable plan. Wind energy is the most common form of renewable energy offered by providers. Choosing to place solar panels on your roof requires a greater upfront investment, but that investment pays for itself over time. 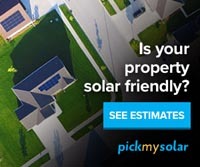 The amount you save overall will depend on where you live and how much sun your panels absorb. Project sunroof offers a calculator you can use to estimate savings based on your location. 5. Upgrade your appliances: In the eloquent words of ENERGY STAR Consumer Messaging Guide for 2015 “every appliance comes with two price tags: the purchase price and the cost of operating the product.” Old or inefficient appliances are a significant drain on energy usage. Upgrading them all at once can constitute a major one-time cost but can benefit you over time. Many experts rank updated appliances as the number-one home improvement project for the kitchen. 6. 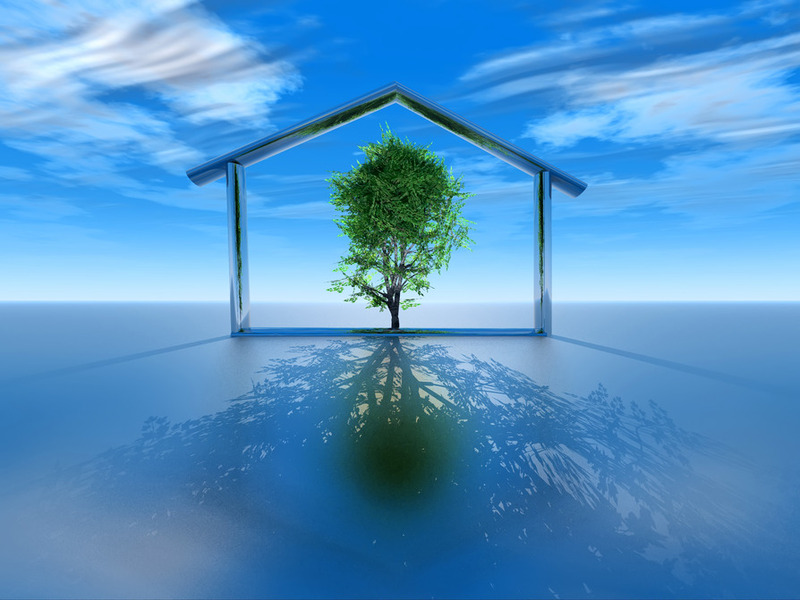 Read up on green home rating accreditations and get your home rated: The term “Greenwashing” refers to people (usually those interested in inflating the price of a house for sale) who falsely represent the efficiency of a home. There are rating systems that will “grade” your home for efficiency so you can legitimize your efforts to prepare for a future sale. HERS, LEED, Energy Star, and Built Green are some of the more well-known certifying bodies. Each one of them has their defining criteria of what makes a home sustainable. Some homes have more than one certification. Once you’ve taken steps to move your home to a more sustainable footprint, research them to find out which one is right for you. There’s even a search engine to find certified homes for sale called Viva Green Homes. That will be useful if you’d like to do a bit of competitive analysis to determine what ratings are typical in your area. Follow these steps to transform your home into a more sustainable place. The world will thank you - so will your pocketbook.